Does an open pool worry you? Do your kids or and pets often run towards the swimming pool? Are you planning to enclose your swimming pool? If yes, this is a good decision indeed. Planning to enclose the pool is a good idea because not only will it help you protect your kids and pets but it will also keep the pool clean from different weather changes and also will keep debris away. Other than the pool enclosure being fit for technical reasons, do not forget that when you will use an enclosure it will be visible to everyone who sees it. 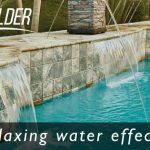 This is why as much as it is important to enclose the pool, equally is important that you choose the right pool enclosure for your backyard/exterior space. If you are thinking that this is a tough job and requires a lot of effort, then you are wrong. If this is what has been holding you back from buying pool enclosure then you should get away with the fear. There are so many enclosures out in the market with specific features and styles from which you can choose. 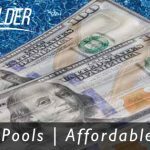 Your Pool Builder is a pool contractor providing inground swimming pool construction and pool renovation services around Montgomery County Texas. We also help pool owners who need pool remodeling and safety jobs done. From swimming pool safety covers to safety fencing we can help keep your pool safe from just about anything! To learn more about how we are leading installers of inground swimming pool covers around Montgomery County Texas contact us today!